encore Deals! | Half Off Car Washes! Must present printed voucher to attendant at time of purchase. Splash-N-Dash Car Wash is a premier exterior wash tunnel. We offer the newest, most cutting edge equipment and techniques to clean your vehicle. For most people, their car is the second largest investment that they will make, and we take pride in knowing that our state of the art facility will clean your investment so well it will look like you just drove it off the lot. 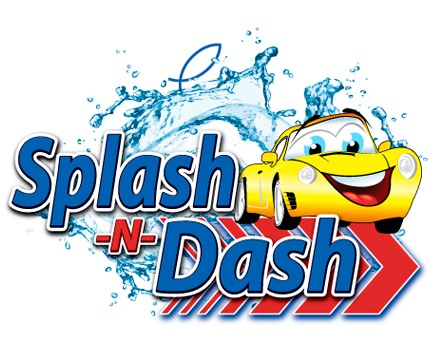 Splash-N-Dash was started by the Umstead and Payne families and epitomizes the American family run business. We care about the same things you do. So, when we decided to start a car wash business, we knew we wanted three things for our customers- An affordable, convenient and quick car wash without sacrificing an ounce in quality! Our equipment is state of the art, and the chemicals used are the most effective and environmentally friendly cleaning solutions available. Our prices are very affordable and our customer service is matchless. We are a Christian organization and believe in the old fashioned qualities that made this country great- providing an outstanding product for a fair price while putting the customer first. Splash-N-Dash offers four core car wash packages which range from an economy wash to a first-class premium wash that will make your vehicle look like it just got a new paint job, tires and rims. In addition, our system will allow you to tailor your wash to fit your current needs, as each piece of equipment offers a unique and precise cleansing application. We look forward to our family serving yours!